Paradise of the Pacific. The Hawaiian Islands have a wondrous culture all their own. Whether it is surfing the North Shore or snorkeling with sea turtles, travel this archipelago, and you will be wowed by volcanic adventures and wooed by the ukuleles. We say, enjoy both beaches and bougainvilleas! Why, that is enough to make any Southern gal feel right at home! 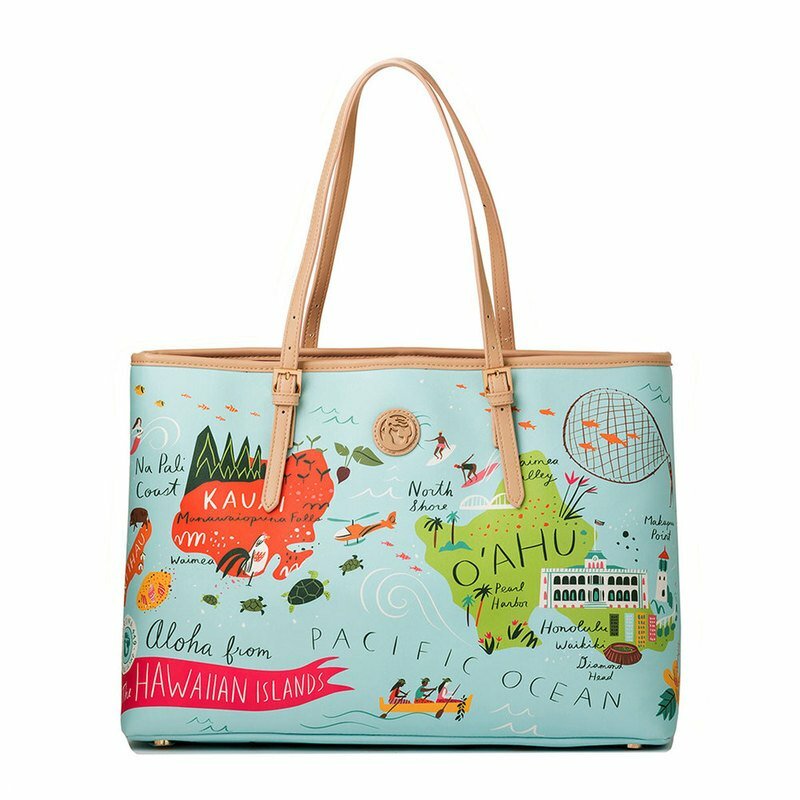 This tote with our signature golden Spartina logo is perfect for days of adventure shopping around town or relaxing on the beach. It features an open top design with a simple lobster claw closure, roomy interior plus three slip pockets and one zip pocket on the inside. The cotton canvas lining is brightly colored for fun, yet is also sturdy.